Demonstrating the National Association for Pupil Transportation’s 2014 Summit theme of Driving Innovation, Collins Bus and Westport are partnering for the first time to display NEXBUS®: the Collins Type A compressed natural gas (CNG) school bus equipped with the Westport WiNG™ Power System. NAPT runs from November 8 – 11, 2014 at the Kansas City Marriott Downtown. The chassis on exhibit at Booth #111 gives attendees a chance to see the unique Westport CNG system. 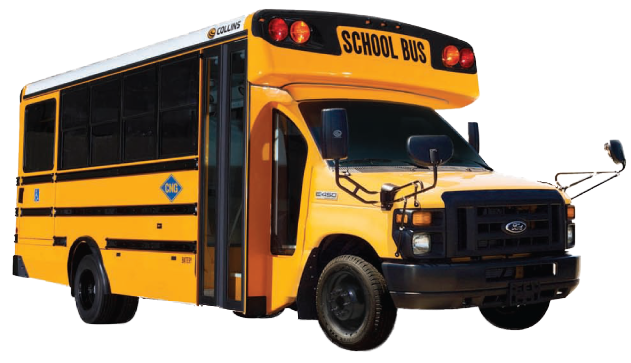 With NEXBUS® agencies such as school districts, child and senior care facilities and municipalities can enjoy the benefit of the historical price stability of natural gas and decreased emissions. Sign up for a free webinar from Collins Bus and Westport on Jan. 29, Choosing Natural Gas: Why a Collins Type A NEXBUS® with CNG May Be the Right Bus for Your Organization.